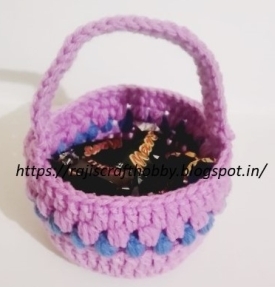 This great crochet Easter basket joins two of our other projects - mini crochet basket and crochet basket. 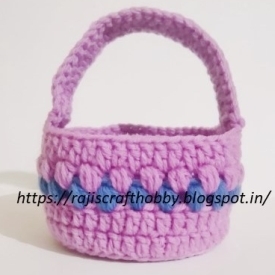 Whether you're a beginner or a seasoned crochet artist, you'll enjoy making these terrific baskets. And they're not just for Easter. They become the perfect craft project for any other holiday just by changing yarn colors. 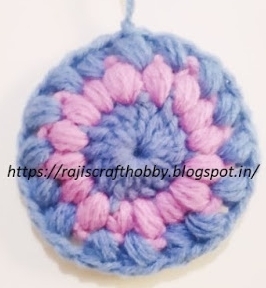 This project was submitted by Raji from Raji's Craft Hobby. Make sure you check out all his other great craft projects. Videos for each of the following techniques are included below the instructions. Make a magic circle. Chain 3 (counts as 1 stitch). 15 dc in the magic circle (total 16 stitches). 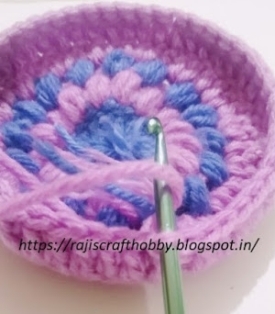 Slip stitch to join. 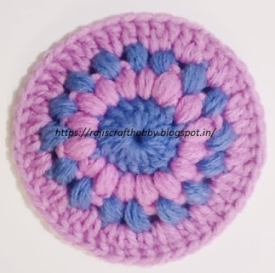 To close the center hole, pull the loose end of the magic circle yarn tail. Change color. Puff stitch in each of the 16 dc. 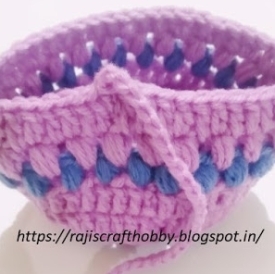 Slip stitch to join. Change color. * Puff stitch, chain 2. Repeat from * all the way around. 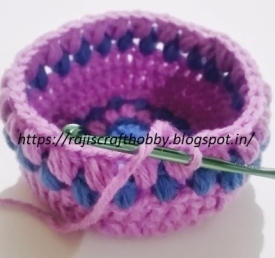 Slip stitch to join. Change color. 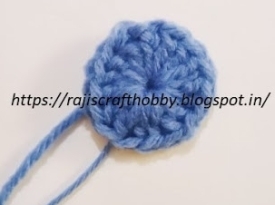 * 2 dc in chain space, 1 dc on the puff stitch. Repeat from * all the way around. 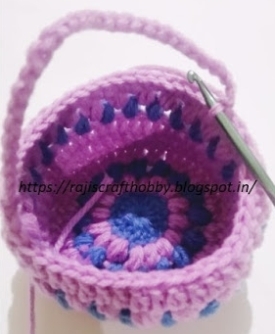 Slip Stitch to join. Chain 2. In the back loops only, dc all the way around. 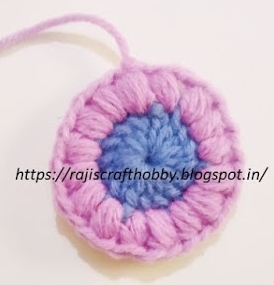 Slip stitch to join. Chain 2. Dc in each stitch all the way around. Slip stitch to join. Change color. * Puff stitch, chain 1, skip a stitch, puff stitch. Repeat from * all the way around. 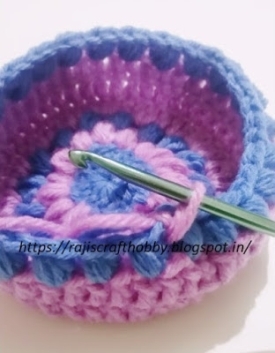 Slip stitch to join. Change color. * Puff stitch, chain 1. Repeat from * all the way around. Slip stitch to join. Chain 30 stitches. 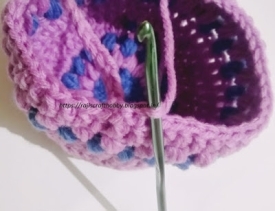 Slip stitch on the other side of the basket (make sure the handle is equally positioned on both sides). Slip stitch in the next 2 stitches. 1 dc on each of the 30 chain stitches. 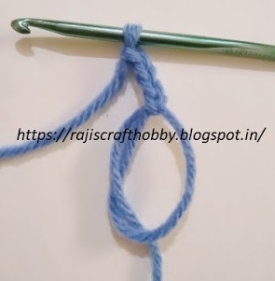 Slip stitch to join and slip stitch back 2 stitches to the starting chain you made. Close up the gap by slip stitching through the handle and the basket end. Weave in loose ends.